There’s nothing like having a cold drink on a hot day, whether it’s just a tall glass of ice-cold water or a can of soda straight from the chiller. However, enjoying your drink might not be that easy if your refrigerator is not up to par. If you open it quite often, chances are it will not have the chance to chill your drinks as quickly as it should. Now, you can have a refrigerator that provides cold drinks any time of the day with Concepcion Midea’s side-by-side inverter refrigerator with home bar and dispenser. The convenience of the home bar allows you to get drinks from the fridge without having to open its doors. The Side by Side Inverter Refrigerator has a modern design that would make it fit into any home, while providing the convenience many homemakers expect from high-quality appliances. The secret to this refrigerator lies in the inverter technology, which automatically adjusts the temperature inside the fridge depending on the ambient temperature in your kitchen. It delivers full-on energy to cool your fridge during busy times of the day, while it decreases power consumption to a minimum at night when you use it less. This helps keep the inside of the fridge at an even cooling temperature, while helping you save on power usage. You get to experience the power-saving features of a high-end refrigerator at an affordable price, making it a welcome investment for newlyweds and young professionals who are just starting on their own. 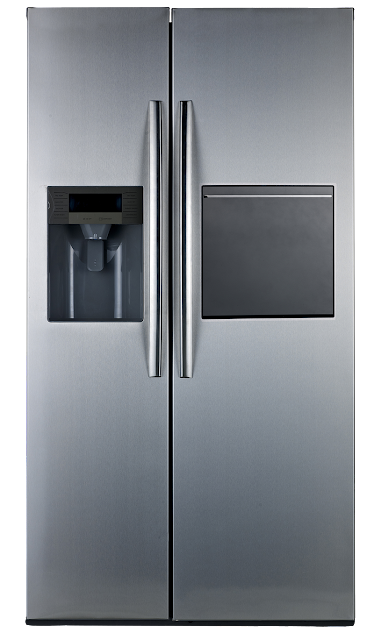 Concepcion Midea’s Side-by-Side inverter refrigerator is equipped with an automatic icemaker that dispenses your choice of crushed ice or cube ice and cold water without having to open the fridge. Likewise, it has a home bar feature that allows you to reach in for your favorite drink without having to open its doors. 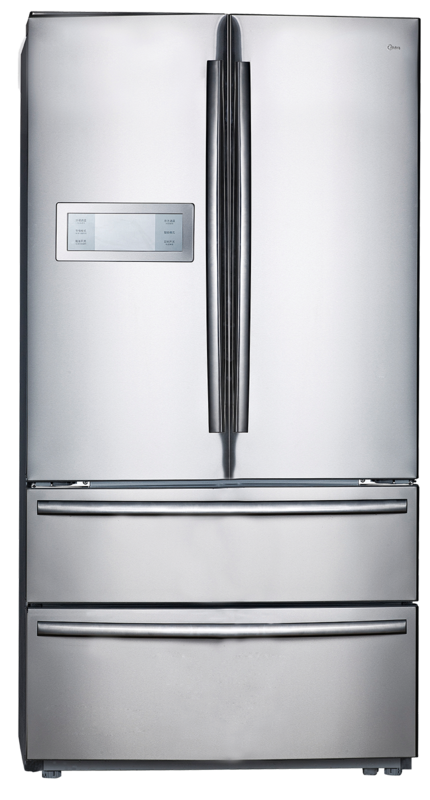 The French door refrigerator has a no-frost feature, reducing the hassle of having to clean it often. It has spill-proof shelves that prevent liquid and moisture from seeping throughout the fridge. More than that, the French Door has super cool and super freeze modes that brings in the right amount of chill when you need it. With its Keep Fresh technology, maintain optimum humidity levels keep food fresh for a longer period of time. A touch-screen LCD display panel on the refrigerator door lets you monitor how cold your fridge is, and allows you to control it and make adjustments from outside. If ever you will be away from home for a couple of days, you no longer need to unplug your fridge to save on energy. This refrigerator is equipped with a vacation mode that keeps the freezer on and the refrigerator off. And to keep your kids from playing with its doors, it comes with a child lock mode. Concepcion Midea’s inverter refrigerators lets you experience the same quality of high-end refrigerators but at a reasonable price.